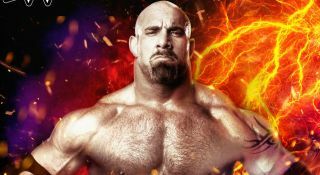 As we predicted in March, WCW legend Goldberg has been confirmed as part of the WWE 2K17 roster. Two versions of the grizzled, goateed brawler will appear in the game, representing his 1997-2001 spell in WCW, and later (mildly disappointing) 2003-04 run in WWE. To celebrate the former, two classic WCW arenas are also included, in the shape of Monday Nitro and Halloween Havoc. “After 12 years away from the business, I’m incredibly honoured to work with WWE and 2K while following in the footsteps of such greats as Ultimate Warrior, Sting and Arnold Schwarzenegger,” says the big guy himself. In addition to Goldberg, we expect 16 other new names such as AJ Styles, Apollo Crews and Charlotte to be confirmed at a later date. WWE 2K17 is released on PS4, PS3, Xbox One and Xbox 360 this October.